According to Newpark, one of the most unique features of the facility is the lobby’s two-story living water wall, which the company said symbolizes its commitment to environmentally conscious technology. It is the fourth largest living wall in the United States, housing nearly 700 plants. The structure uses recycled water to sustain plant life, and the hydroponic wall produces clean air within the facility. The Newpark Technology Center is located on an expanse of 11 acres along the I-10 energy corridor near Mason Road. 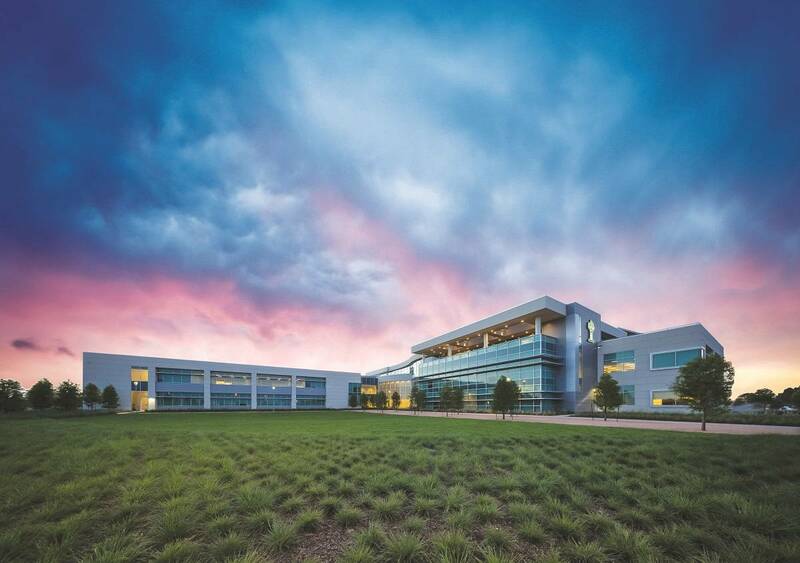 The 102,685 square foot complex consists of 37,000 square feet of research and development space, a high-tech training laboratory, and a field-testing and services area. The lab features a one-of‐a‐kind drilling simulator, as well as a training auditorium and a full range of world-class analytical capabilities.